Deontay Wilder won a bronze medal in the super heavyweight division in the 2008 Olympics. The would-be college basketball player entered the Olympic trials with just 20 amateur bouts. There can be no question that Wilder has a natural talent for prizefighting. He turned professional months after the Beijing games concluded. His career to date has been both a tantalizing promise and a frustrating, drawn-out tease. His career record is eye-popping: 38-0, with 37 KOs. But the record is less dazzling under closer examination. Over eight years into his career, he has still faced just one top-10 heavyweight–Bermane Stiverne, whom he defeated for the WBC belt in January 2015. It was his only fight to go the distance, but Wilder clearly deserved the decision. Aside from Stiverne, Wilder’s best win would have to be his Round 9 KO of Artur Szpilka, just over a year ago, in January 2016. Szpilka is a second-tier contender, but no pushover. He is a savvy brawler who gave Wilder problems in an awkward, back-and-forth fight. Then Wilder finally caught up to him in Round 9, and put him to sleep with a blistering right hand. Question Wilder’s resume, by all means. But his power cannot be debated. His lead hook or right hand can erase everything that happened before it. That kind of weapon makes a big, athletic man like Wilder dangerous against nearly anybody. Deontay Wilder made this clear once more last Saturday night, against the menacing Gerald Washington. A former college football player who spent time on NFL practice squads, Washington matches Wilder’s 6’7″ and carried a weight advantage of nearly 20 pounds. He established a solid jab and for four rounds was fighting on completely even terms with Wilder, in a fairly unexciting fight. Then Round 5 came. Wilder flashed his power, dropped Washington hard and finished him off when he made it back to his feet. Washington was barely a contender. The best line of his resume is a decision victory over a listless “Fast” Eddie Chambers–a true cruiserweight, who no longer appeared to be very fast when he fought Washington. He fought to a draw against Amir Mansour, a much smaller, 40-year-old man. And I do not think he deserved the draw. 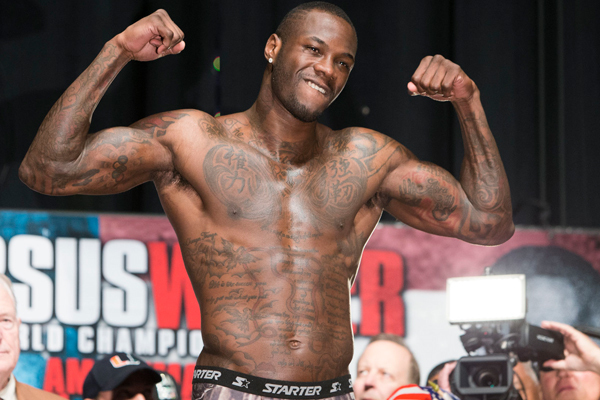 Deontay Wilder’s detractors will point to his performance against Washington and declare that he is nothing special. But if heavyweight history proves anything it is this–a big right hand can make up for a whole lot of flaws.